Personal Computer-Based Aviation Training Devices: Does Yours Meet FAA Training Requirements? 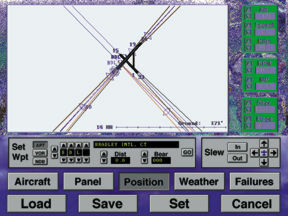 When the Advisory Circular (AC) 61-126, "Qualification and Approval of Personal Computer-Based Aviation Training Devices," permitting the use of PCATD's in pilot training was released, it specifically outlined both what was permitted to be used as a FAA-qualified PCATD and how such an FAA-qualified PCATD could be used in pilot training. The how it could be used is simple. As the AC notes, an FAA-qualified PCATD can be used for up to a maximum of 10 hours of creditable instrument procedural flight instruction towards an instrument rating for airplanes in those tasks specifically outlined in Appendix 1 of the AC.